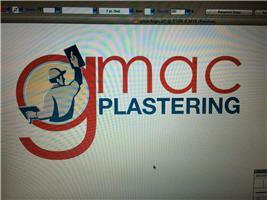 GMAC Plastering - Plasterer based in Worcester, Worcestershire. Hello, I'm Graham and I have been plastering for nearly 10 years now although I've been working in the building trade since I left school 16 years ago. I always pride myself in being clean and tidy and walking away from a job I'm happy with and it is important too that my customers are completely pleased with my work. Treating your home with respect I make sure that I have plenty of dust sheets for covering floors, radiators, window sills and permanent fixtures and furniture so that at the end of the day I can roll it all up and take all rubbish and dust away with me. My work has included plastering modern houses, farm houses, commercial buildings and factory units. During the Summer my work also includes completing rendering. I am confident in saying that I provide my customers with a clean and tidy service and I'm a helpful friendly guy as any of my customers will vouch for. Please call for advice and a free quote for any future requirements you may be considering I look forward to hearing from you.